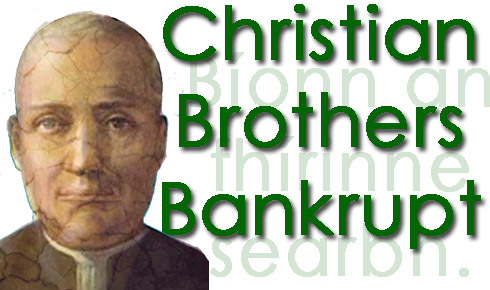 Mostly known for their excellence in education and their ability to excel in sports, two NJ Catholic high schools are entangled in the bankruptcy proceedings of the Christian Brothers. Originally known as the Irish Christian Brothers, the religious order has established numerous educational facilities in New York and New Jersey, around the nation, and the globe. In New Jersey, Bergen Catholic High School, Essex Catholic, and the Academy of Christian Brothers are three well known insitutions. Across the NJ border, there are numerous schools in New York State and New York City which include Cardinal Hayes High School, Power Memorial, and Iona Prep. The bankruptcy proceeding of the Christian Brothers originates with allegations in the United States, Canada, Australia and Ireland concerning abuse that stretched over decades. The religious order was founded by Edmund Ignatius Rice who was a wealthy import and export trader in the city of Waterford, Ireland. He settled his business affairs in 1800, his most profitable year, and two years later opened his first school. The students, in a surpise change from today’s structure, were graded by ability, not age. He also demanded that there should be no physical punishment, which he found contrary to his own understanding of Christianity. In 1820 he wrote, “Unless for some faults which rarely occur, corporal punishment is never inflicted”. It appears now that there are numerous cases where the Christian Brothers allowed and then covered-up cases of both physcial and sexual abuse at various high schools. Locally, in NJ, this bankruptcy implicates Bergen Catholic and Essex Catholic where allegations of misconduct have been made public by former students of the accused. In Bergen Catholic, Brother Charles Irwin has been the target of several allegations regarding both physical and sexual abuse; he served in no less than thirteen different schools. Allegations of abuse during his tenure at Bergen Catholic during the 1960s is covered on the website BergenCatholicAbuse.com . Bergen Catholic was also the temporary sanctuary for Brother Thomas Cuthbert Ford who taught math. He was at the time seeking refuge from charges in Canada. When discovered, he fought extradition from New Jersey, but eventually returned to Canada in 2000 and pled guilty to beating a 14 year old boy unconcious in a shower. In Essex Catholic High School, Br. Jerome A. Heustis has been targeted with allegations of sexual abuse and it’s implications regarding the victim’s suicide at the time. The majority of cases center on the 1950s, 1960s and 1970s, in a scandal that stretches the globe. The most entrenched pattern of abuses have been well documented in Ireland where the religious order operated many schools and orphanges. The abuses in Ireland have led to serious diplomatic tensions with the Vatican, and the religious order has agreed to compensate victims. As part of the bankruptcy proceedings in America, former students of Bergen Catholic have been notified that they have until August 1st, 2012 to file a claim alleging physical or sexual abuse. These notifications have been sent by both the school and by firms representing victims. In a letter dated February 2012, Bergen Catholic advised alumni of the matter and identified the claimant’s agent as Omni Management. “Indeed, there are few matters I wish to urge with greater insistence upon the attention of the Brothers and especially of the young Brothers, than the evil done by the use of injudicious punishment when correcting faults of their pupils. It was really interesting to read what Brother Moylan understood and wrote about the damaging effects of corporal punishment. Very tragic that it was not heeded by all and that such abuse occurred for so many decades in the Christian Brothers’ schools. As a psychologist, I see up close and personal the dreadful consequences of physical, emotional and sexual abuse and how it can destroy the chances for a good and fulfilling life. Thank you from the bottom of my heart for this piece Charles. I am a survivor of “Brother” Irwin’s abuse in Bergen Catholic. It took me thirty-seven years to be able to write about what happened to us back in 1964-65 at BC. The damage that man did to innumerable young men over the years can never be accurately quantified. As you can see on the bergencatholicabuse.com website, I was not alone in being damaged by Mr. Irwin. He, and the culture that enabled him, certainly killed my faith in Catholicism and left me estranged from my father for the remainder of his life. Some of the BC alumni reports of their abuse at his hands and at the hands of others in the school are the stuff nightmares are made of. I want to thank you specifically for the inclusion of Brother Moylan’s statement on corporal punishment. It serves to highlight just how far the “Christian” Brothers strayed from their original vision and the corruption of true Christian morals and ethics that crept into the order over the decades. What a pity the popular news media — what used to be called “The Fourth Estate” — seems to have no eye (or is it nerve?) for the topic. As a non-Catholic, I find it strange that the blessings of the church should come today from its parishioners despite (rather than with the aid of) its leadership. In the movies, it is vampires that fear the cross and the mirror. Perhaps the church hierarchy could take a lesson from Hollywood. Thank you for the good effort.